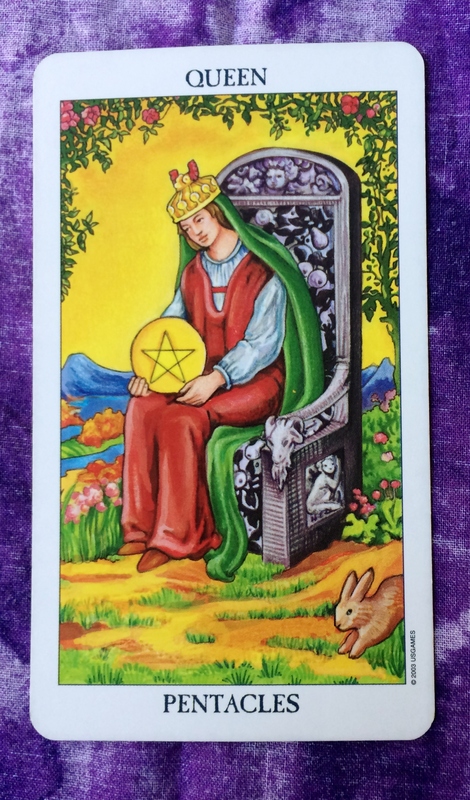 Today’s card if the Queen of Pentacles. The focus is on your home, comfort, and being in control of your domain. So spruce up your living quarters, decorate, or rearrange the furniture. Did you ever get a chance to do any spring cleaning? That’s ok. Do a little summer cleaning. Here’s something simple to do: Stop at the florist or the supermarket and pick up a small arrangement of flowers and a plain vase. Proudly display them when you get home. 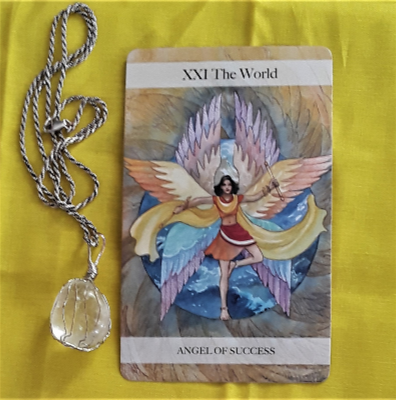 This is a wonderful way to tap into the Queen of Pentacles energy and to lift your spirits. Today you might have a conversation with a warm, down-to-earth person, which is nice because your can be yourself with them. Make sure to give them a hug. If you are that practical earthy person with the hilariously blunt sense of humor, today is your day to shine.